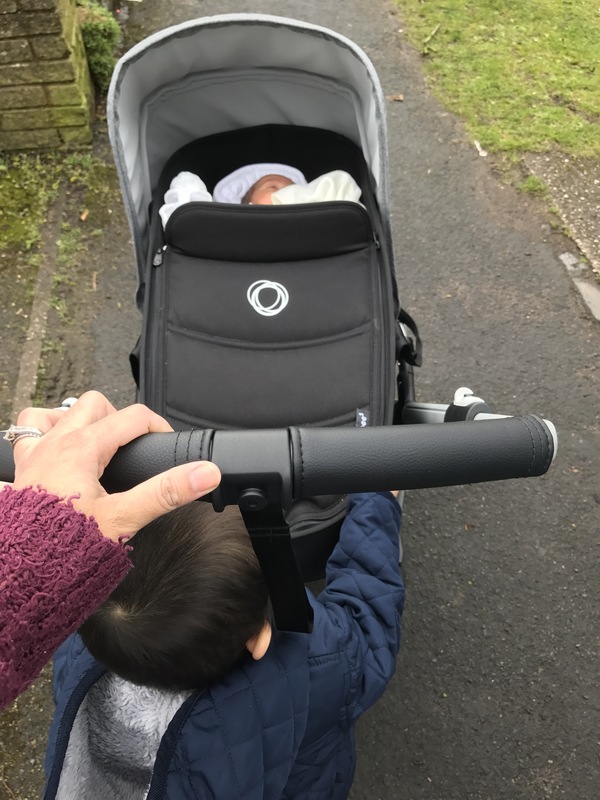 Our first outing with a newborn & toddler – it's a mums word..
Having spent two weeks cooped up indoors since my little munchkin arrived, I’ve been feeling increasingly sorry for my biggest boy, who is getting more and more bored at home on the days he is not at nursery. Don’t get me wrong he still gets the majority of my attention, apart from when I’m feeding my newborn (which often takes over an hour). But the poor thing must be getting super bored and is fighting for mummy’s attention while he comes to terms with the fact the ‘baba’ is here to stay. Both boys were up around 6.30am as usual. So I changed and dressed my biggest boy whilst my baby screamed in the background. Calmed the baby down while my biggest had breakfast and then spent the next couple of hours feeding and changing then feeding and changing my baby while my toddler occupied himself and battled for my attention! I then made the mistake of putting my toddler’s shoes and coat on first. He was then determined to go outside and would not leave the front porch. Only I needed to get through the porch and to the car to get the base of the pushchair and set the bassinet up for the first time. So we had a little meltdown at the door for ten minutes or so, while the baby was screaming in the background! The people at Ocado decided this was the perfect time to deliver our online shopping, so I then had to bring all the shopping in and put it away without my toddler running off through the front door into the street..whilst the baby was still crying. So once the shopping was dealt with, I finally set up the pushchair and got the baby’s coat on. He had, thankfully, now fallen asleep despite all the commotion. So we were ready to go, finally. Although, when my biggest boy saw the baby go into the pushchair and realised he wouldn’t be going in it he had another major meltdown! 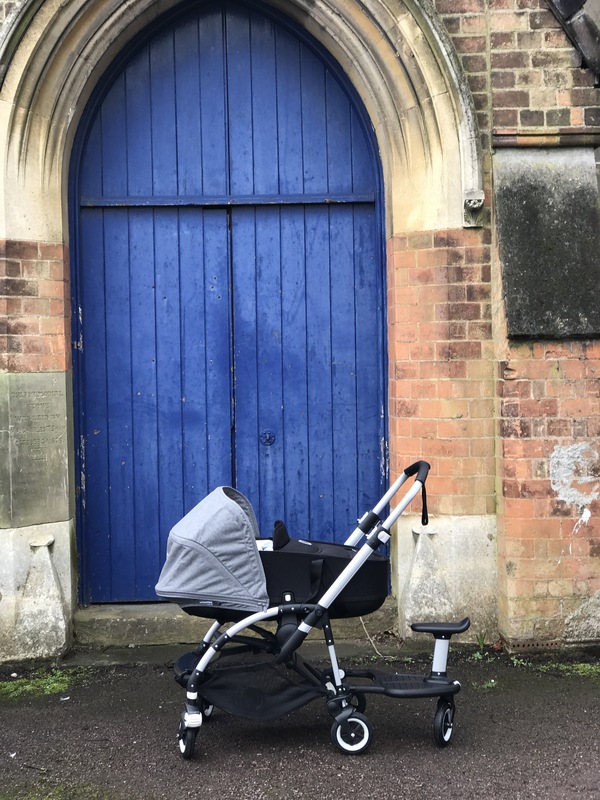 Luckily, the lovely people at Bugaboo had sent us a toddler board along with the Bee 5 we are road testing, so some quick thinking and five minutes later we had the toddler board all set up and we were actually finally ready to go! One whole hour later! The bassinet was so lightweight and easy to push, and the toddler board was a hit although he did switch between sitting on it and walking which is still a new concept for him. My biggest boy loved the stay and play, I can’t believe we have never been before when it is literally on our doorstep! My littlest boy slept the entire time we were there, so the ordeal to get out was definitely worth it. I’m sure as I get more used to having two boys we will find things like this get easier. But having not slept more than a couple of hours the night before, the morning was just a disaster and the whole day then felt the same. Today is a new day. The toddler is off having fun at nursery, and my littlest boy has just fallen asleep… time to put the kettle on 😄.